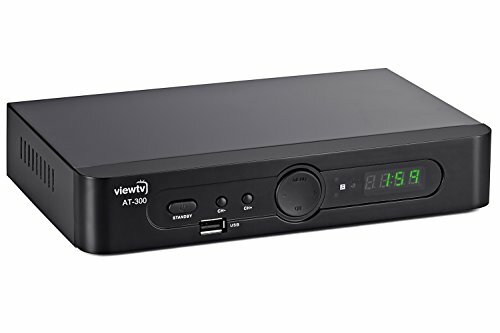 Look no further than the Viewtv AT-300 ATSC Digital TV Converter Box. It is the latest model in the ViewTV line of free tv solutions. All you need to do is hookup a digital TV antenna to your AT-300! Want to record? Just plug in a flash / thumb drive or an external hard drive into the USB port on your unit, and you're ready to go! NOTE: - Please do NOT purchase this device solely for QAM/Cable use. Please be advised that it will work ONLY with DECRYPTED channels. It may NOT work with most Cable providers.